* 12. 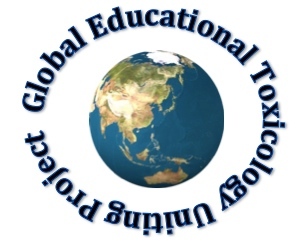 I have read, understood and accepted the disclaimer/conditions (listed on the registration page) and any other member of my institute who plans to partake in the "Global Educational Toxicology Project (GETUP)" will do the same prior to participation. I agree, understand and accept these conditions/disclaimer. Any other institute members have given implied consent by participating that they understand the conditions stated above.